At DS Store Canterbury we have a number of DS 7 CROSSBACK offers available and we can even tailor an offer specifically for you. To get the DS 7 CROSSBACK you want at a monthly repayment and deposit that suits you, speak to a DS Expert Advisor today for your no obligation quote. 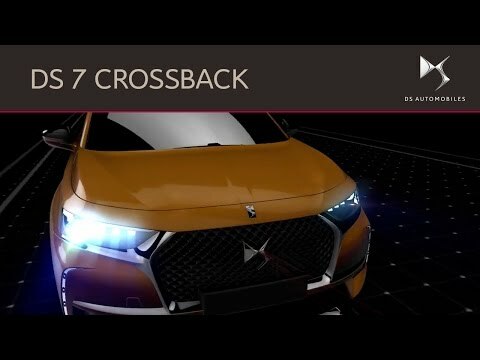 The DS 7 CROSSBACK is what we think an SUV should be like, it is the embodiment of French know-how and innovation. Muscular, charismatic and attractive, the DS 7 CROSSBACK exudes power and poise through its design. Viewed from the front the vertical grille uses the distinctive DS Wings motif which melds seamlessly into our signature of spectacular lighting. This is an SUV like no other. It has a presence that helps it stand apart from the crowd while proportions allude to the space, comfort and peace within. DS 7 CROSSBACK​ takes dynamic, refined driving a step further thanks to its new THP 225hp Stop & Start petrol engine with the eight-speed automatic gearbox. A world first on DS 7 CROSSBACK​​, this latest transmission provides rapid, imperceptible changes and is also available with the BlueHDi 180hp diesel engine. Due to arrive in spring 2019, the DS 7 CROSSBACK​ rechargeable hybrid E-TENSE will deliver performance and efficiency with 300hp, 4 wheel drive and 37 miles range in zero emission mode. 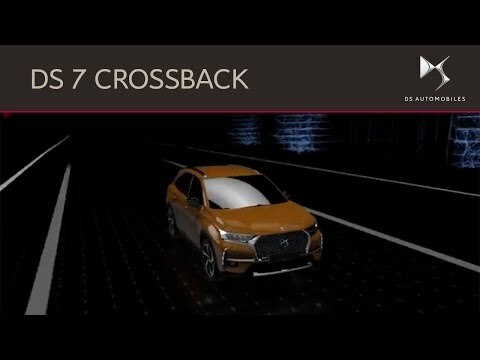 Delegate partial control of DS 7 CROSSBACK​ to DS Connected Pilot. This employs ACC Stop & Go (Adaptive Cruise Control) to maintain a safe distance to any vehicles in front. 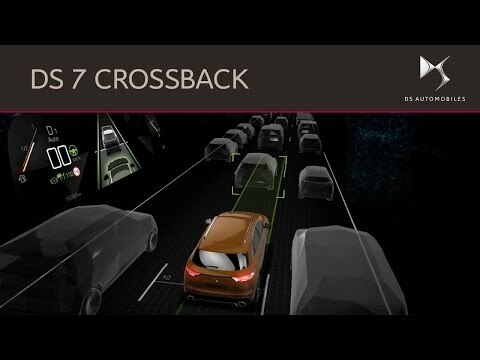 The DS 7 CROSSBACK​​will stay securely in the middle of its lane thanks to LPA (Lane Position Assist). However, you can retake control whenever you want. Using infrared, the DS Night Vision shows what’s ahead in the dark, highlighting vulnerable road users on the instrument screen. DS first developed hydropneumatic suspension in the 1950s, inspired by this, DS engineers have now introduced DS Active Scan Suspension. This innovative damping uses a camera to detect imperfections, potholes or lumps in the road surface ahead. The suspension then adjusts instantly for maximum comfort. Terms and Conditions: Terms and Conditions Finance examples are based on the New DS 7 CROSSBACK PureTech 130 Manual Performance Line. DS Store Canterbury is a broker (not a lender) for the purpose of this financial promotion. We can introduce you to a number of carefully selected finance providers and may receive a commission from them. Subject to status. Guarantee / indemnity may be required applicant must be 18 or over. 5.9% APR representative available on conditional sale over 48. Offer available while stocks last. Offer valid for orders placed and registered between 1st April and 30th June 2019. Receive a complimentary Service Plan: Complimentary 3 years servicing offer valid for cars registered by 30th June 2019. Servicing plan ends at 3 years or 35000 miles, whichever is reached first.